Torn Asunder by Alana Terry is an extraordinary addition to her awesome series of books which include The Beloved Daughter and Slave Again. Ms. Terry is an incredibly gifted storyteller and all of the books are intense and thought provoking while providing a suspenseful tale of mystery, devotion and perseverance. Although there is connective tissue between the stories, they can be read as stand alones. Torn Asunder takes us back to the Secret Seminary with Hannah and Simon, two newly trained missionaries who are eager to begin their work in the underground church. Hannah is a courageous and strong believer whose greatest gifts are masked behind the delicate frame of a young woman. Because of her looks, she is continuously underestimated. Through her torture and imprisonment while performing her missionary duties, Hannah finds that love is stronger than death. Simon is ready to take on the National Security Administration in order to serve the Lord in the underground church, but when Hannah is threatened he realizes his devotion is also tied to his love for her. All of his training in the Secret Seminary has not prepared him for the lengths he will go to in order to protect the one he loves. Moses is the legendary man who eludes the authorities with his ability to provide bibles and protect missionaries. Some say he is a myth but there have been a few who have actually met him. His identity must remain a secret for the greater good but the NSA is getting way too close to finding him. 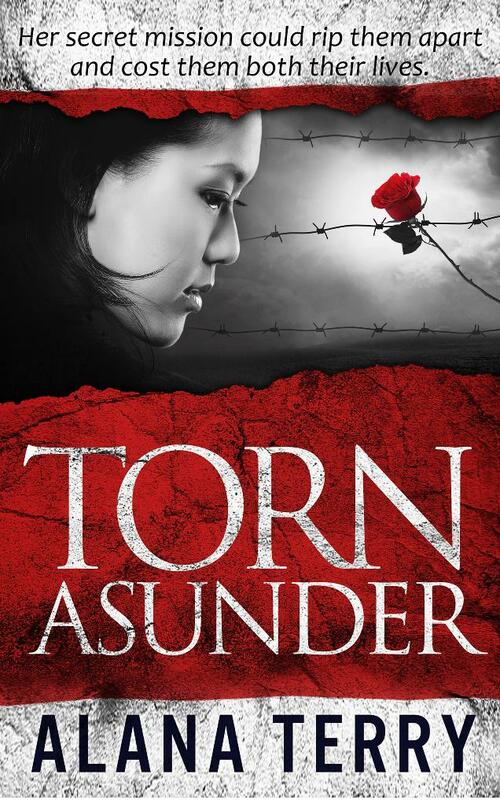 Torn Asunder is very well written and although the material is tough to read, it is done with discretion and class. Ms. Terry has a great way of presenting the story without unnecessary detail that will do nothing more than hinder the reader. Rather, she delivers a story of strength and courage in the face of horrific trials. It is easy for me to write this review as Ms. Terry has undoubtedly become one of my very favorite authors. Her stories are powerful and ones that the world is blessed to read. Not only does she provide great entertainment through her books, but she also awakens readers to the reality of those who are still suffering and martyred for the sake of the Gospel. I received this book from Ms. Terry in exchange for my honest and unbiased review which I’ve provided here.